In the 1970s John Baily conducted extensive ethnomusicological research in Afghanistan, principally in the city of Herat but also in Kabul. Then, with Taraki’s coup in 1978, came conflict, war, and the dispersal of many musicians to locations far and wide. 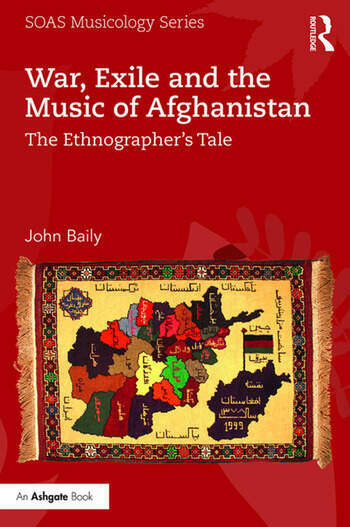 This new publication is the culmination of Baily’s further research on Afghan music over the 35 years that followed. This took him to Afghanistan, Pakistan, Iran, the USA, Australia and parts of Europe - London, Hamburg and Dublin. Arranged chronologically, the narrative traces the sequence of political events - from 1978, through the Soviet invasion, to the coming of the Taliban and, finally, the aftermath of the US-led invasion in 2001. He examines the effects of the ever-changing situation on the lives and works of Afghan musicians, following individual musicians in fascinating detail. At the heart of his analysis are privileged vignettes of ten musical personalities - some of friends, and some newly discovered. The result is a remarkable personal memoir by an eminent ethnomusicologist known for his deep commitment to Afghanistan, Afghan musicians and Afghan musical culture. John Baily is also an ethnographic filmmaker. Four of his films relating to his research are included on the DVD that accompanies the text. Contents: Introduction; Before the communist coup of 1978; The jihâd (holy war) era; The mujahideen parties come to power; Taliban times; Kabul after the Taliban; The global circulation of Afghanistan’s music; The summing up; Glossary of musical instruments; Bibliography; Index. John Baily is Emeritus Professor of Ethnomusicology at Goldsmiths, University of London. He holds doctorates in experimental psychology and ethnomusicology, and is trained in anthropological filmmaking. Baily has taught at The Queen’s University of Belfast, Columbia University and Goldsmiths; most of his research has been on the music of Afghanistan.